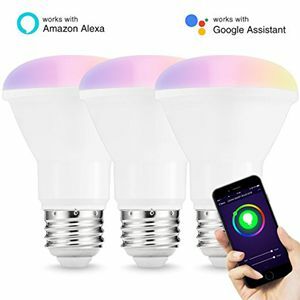 Make Lighting Smart -- This Wi-Fi BR30 floodlight bulb can be controlled by smart phone and table PCs which supports voice control(compatible with Amazon Alexa, Amazon show and Google Home), remote control, timer and group creating. 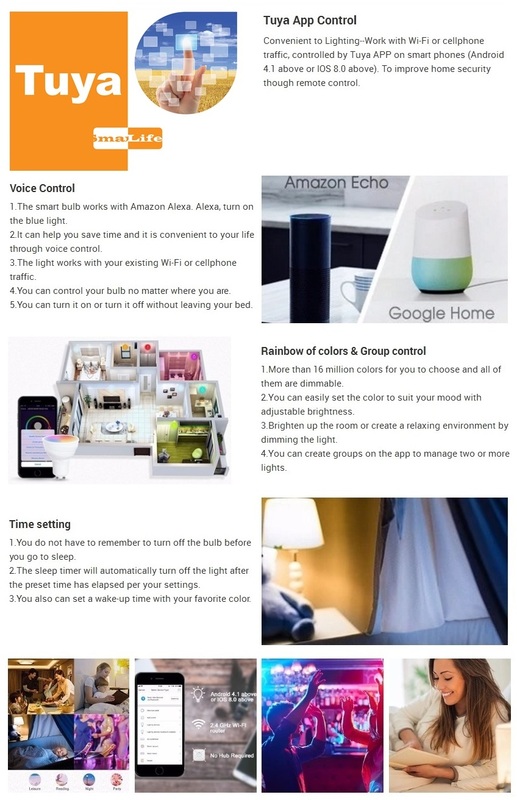 It will bring great convenience to your life. 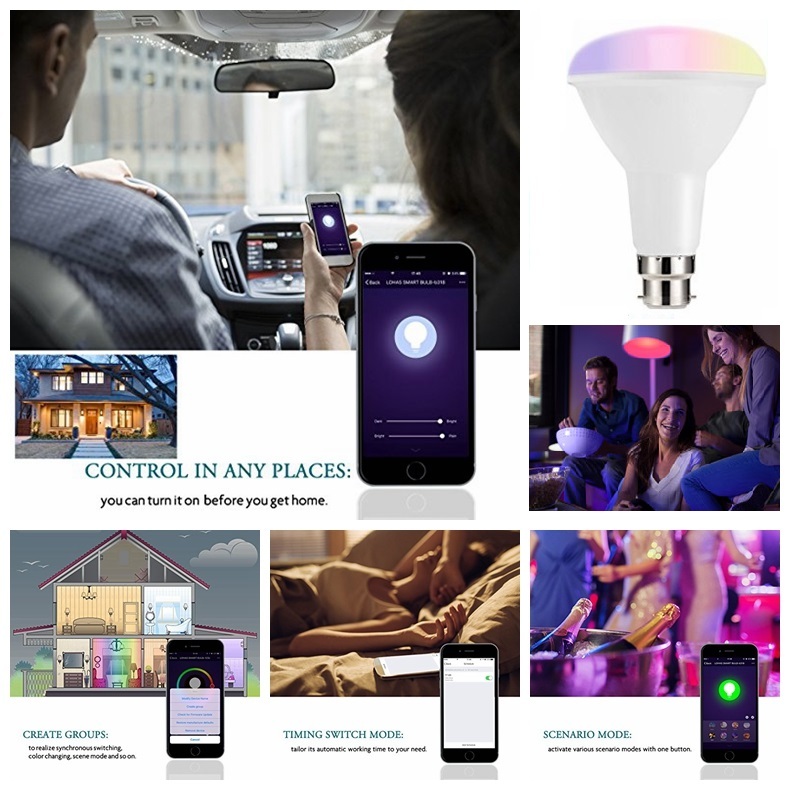 Make Lighting Colorful -- There are 8 modes and tons of color options(16 million). This smart BR30 LED flood light can emit Colorful & Daylight & Warm White(2000k-9000k) lighting. Such as, red, green, blue, yellow, purple, orange, pink, etc. Changing the color and adjusting the brightness via APP to create the right atmosphere to suit your mood. 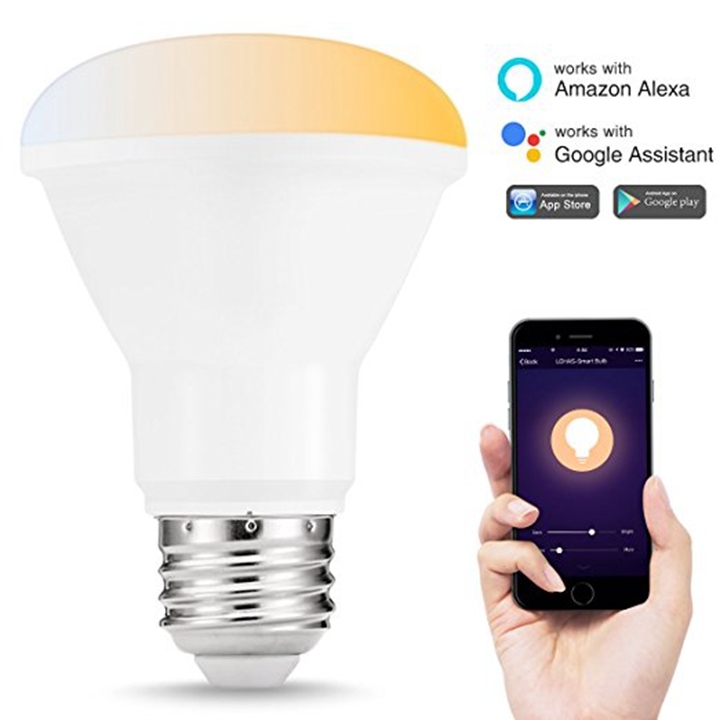 Bright Enough and Cool for Smart Home Lighting -- This Wi-Fi smart Recessed Lighting is 10 watt (75w-80w halogen floodlights equivalent), 1000 lumens. 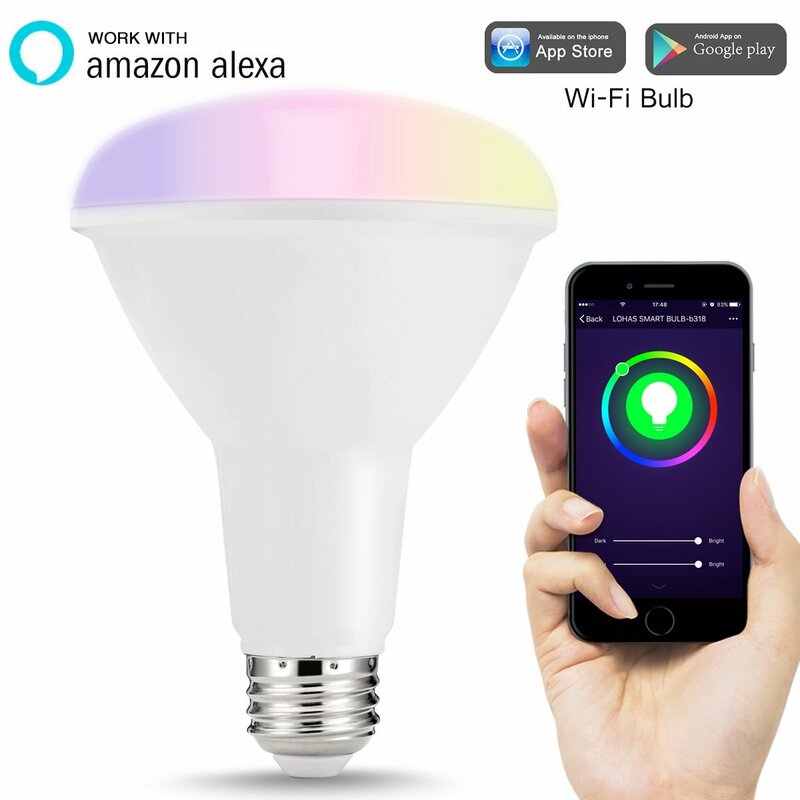 High brightness lighting will light up all over the room(kitchen, bedroom, living room, bar, garage, cafe, office, hotel, etc). 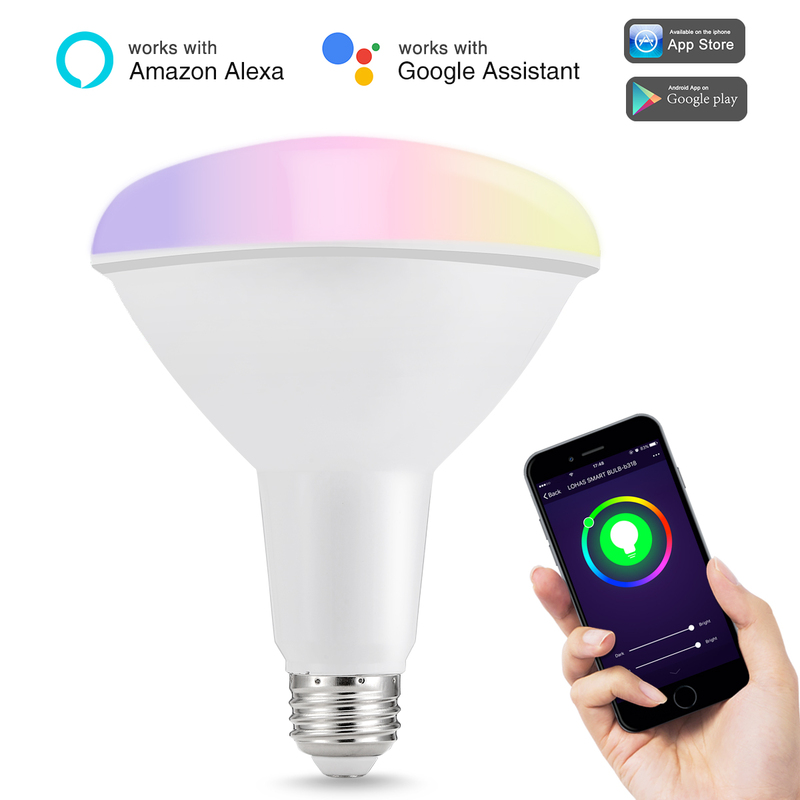 Safe&Reliable -- The input voltage of this multicolored LED lights is from 110V to 240V, and it will reduce power usage up to 80%. CE, RoHS, FCC compliant. No lead or mercury. No UV or IR. Offer 12 months warranty. 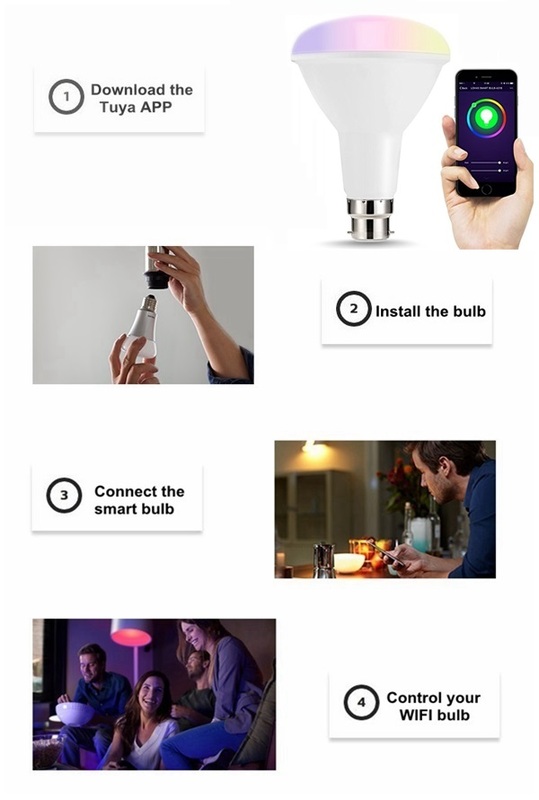 Easy to Install -- There are 3 steps to start your smart life. 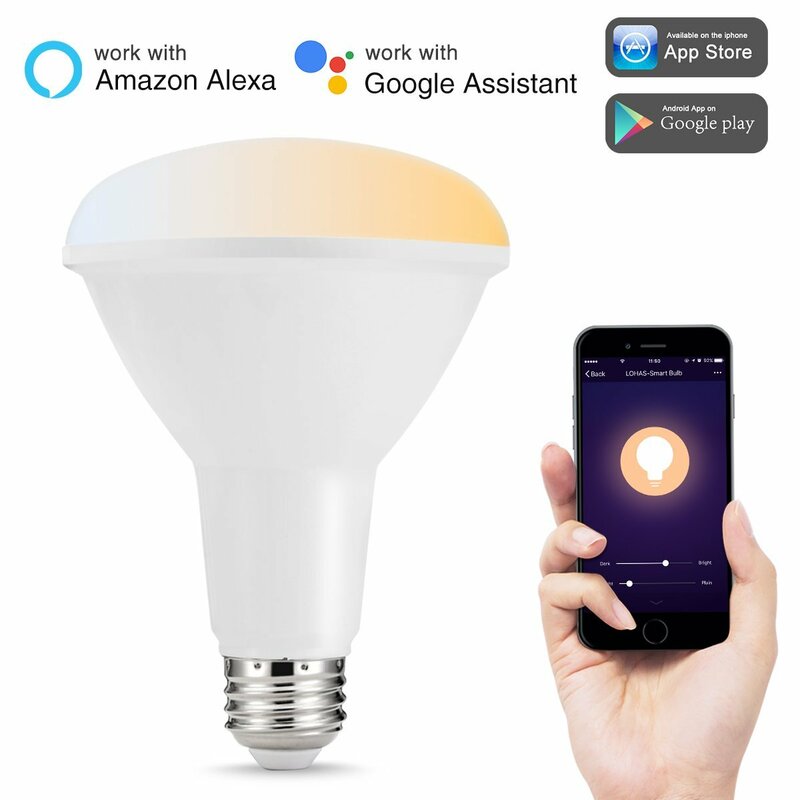 Scan the QR code to download the APP, install the color bulbs lamp(E26 base) and use the APP to control the Wi-Fi Alexa light(No Hub Required). Our simple installation guide provides step by step instructions. 2. 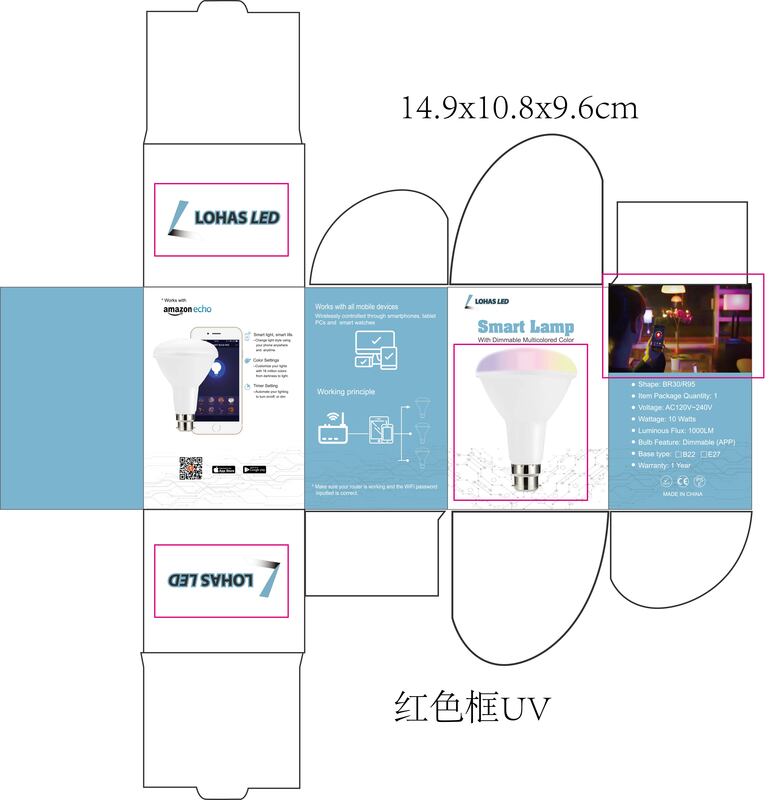 Original manufacturer, OEM for great brand in Europe and America. 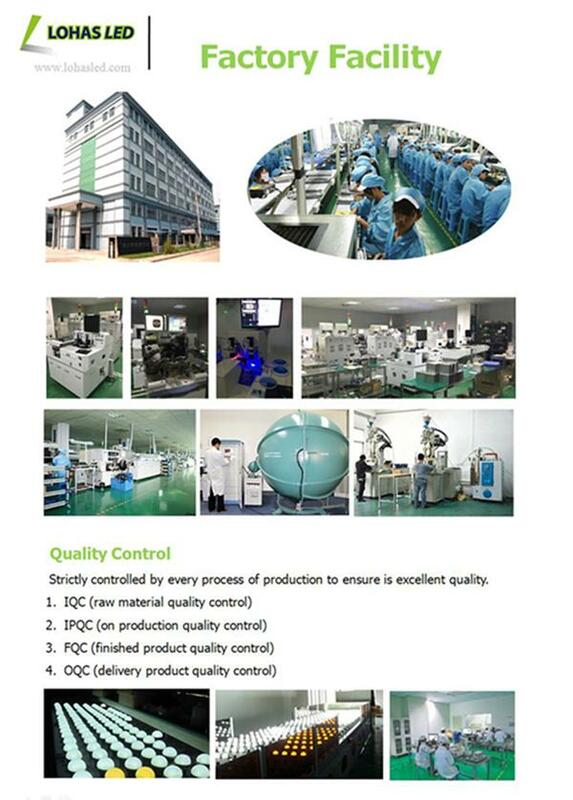 4.CE, CCC, RoHs certificates , providing our products with quality assurance. 6. "Lifestyles of health and sustainability" is the way that we highly recommend. 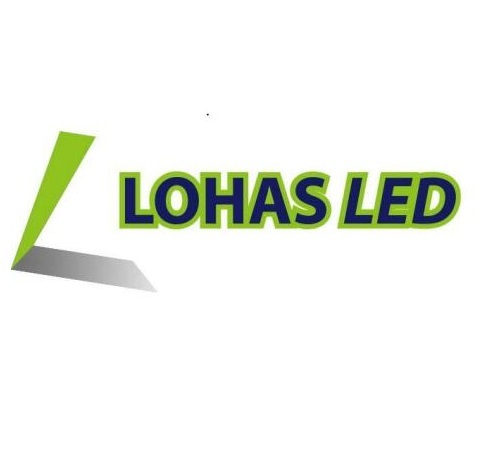 We are always devoted to the research and development of LED lighting products. 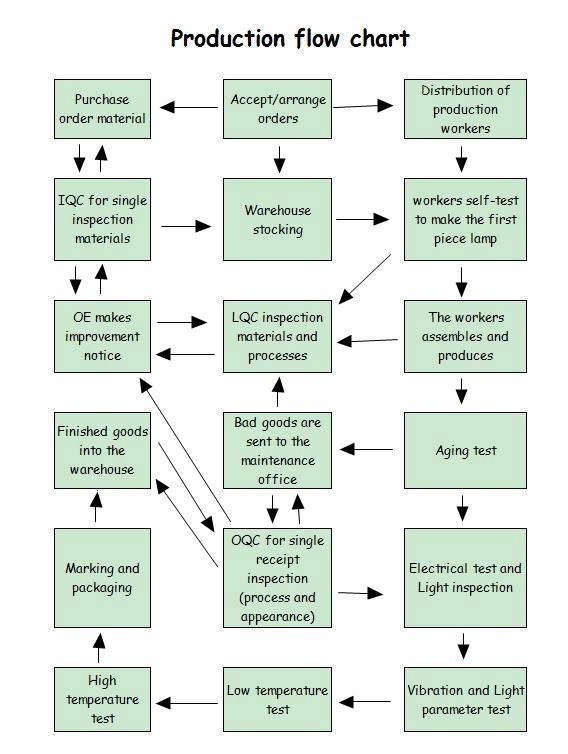 4.The ability of self-improvement, rapid alarm feedback mechanism, rapid alarm and feedback when exceptions occur.